This Guild Accredited Body Massage course follows the National Occupational Standards and covers reception, consultation and ventilation. It also covers anatomy and physiology, contra-indications and contra-actions, skin conditions, preparing for treatment, massage techniques and a full body massage routine. The Guild Accredited Body Massage course includes the Guild Professional Standards course, usually priced at £99 + VAT, for all students who have not completed this course. This Body Massage Award is accredited by the Guild of Beauty Therapists, the UK’s leading professional beauty trade body. The course is beautifully written and accompanied by images, video clips and a voice-over. Upon completion of the online theory modules, you will receive a PDF manual which you can refer back to. Twenty-one of the modules and examinations are completed online with full online support available. You will also complete a one day practical assessment at The Beauty Cabin Academy. You will have the opportunity to practice the routine on friends and family before being assessed by our experienced tutors. On completion of the course, successful students will receive the Guild Accredited Body Massage certificate which is acceptable for insurance purposes with The Guild of Beauty Therapists. This course will teach you everything you need to know in order to carry out a professional aromatherapy treatment using pre-blended oils. You must have a previous massage qualification in order to take the course. The course is completed entirely online in your own time. This gives you flexible learning designed to fit in around your lifestyle. Full tutorial support is available throughout your learning experience. The Guild accredited Aromatherapy course describes all the characteristics of the essential and carrier oils as well as describing how you can incorporate aromatherapy into your massage treatments. The Aromatherapy course includes the Guild accredited Professional Standards course, usually priced at £99 + VAT, for all students who have yet to complete this course. 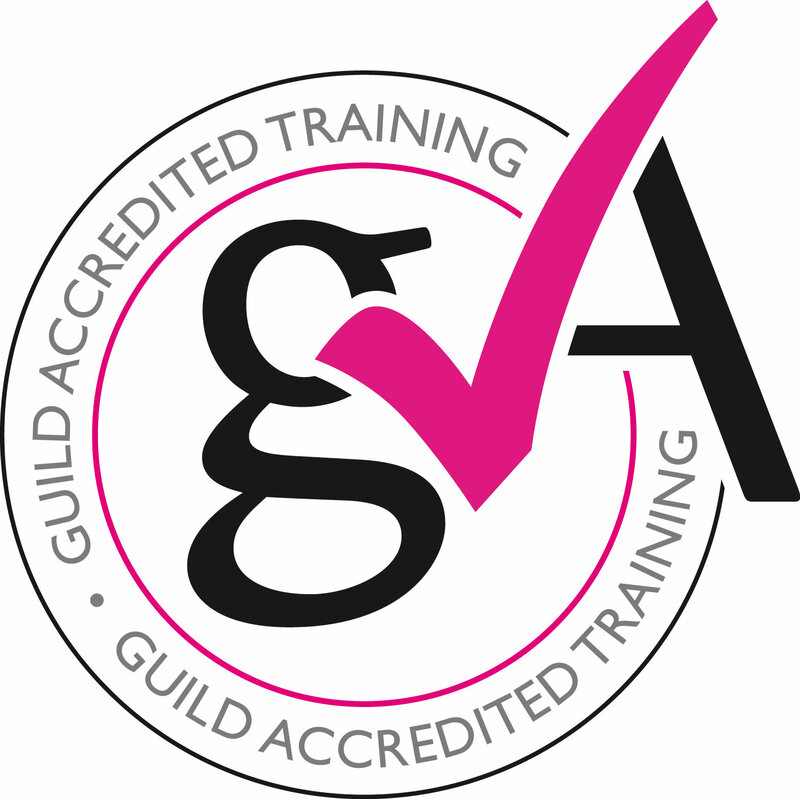 The course is fully accredited by the Guild of Beauty Therapists, the UK’s leading professional beauty trade body, for membership and insurance purposes. Upon completion of the course, students will receive a full-colour certificate for a Guild accredited Award in Aromatherapy. Pre-requisites: You must have completed the Guild Professional Standards course and hold a relevant Body Massage qualification.